There may be a foot of snow on the ground, but I’m thinking ahead to warmer weather! 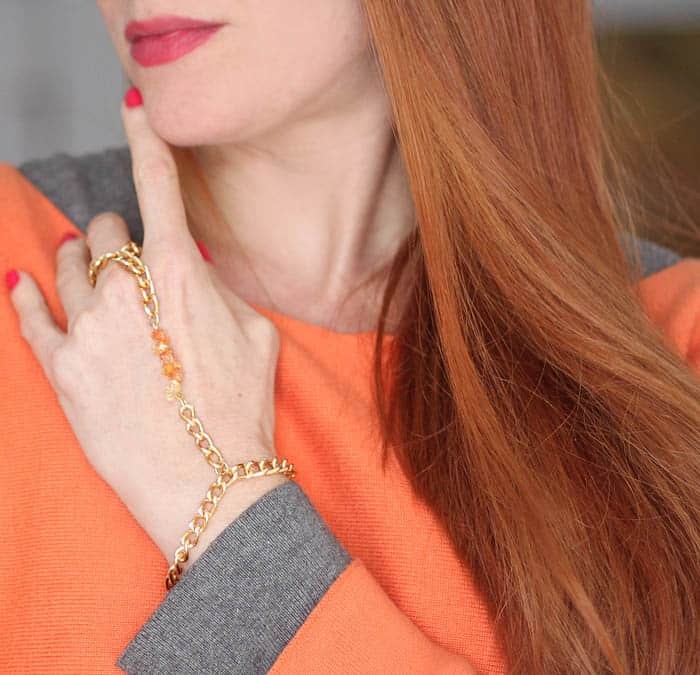 I don’t wear many bracelets/rings in the winter- they get in the way with gloves and I constantly have my sweaters pulled down over my hands anyway. 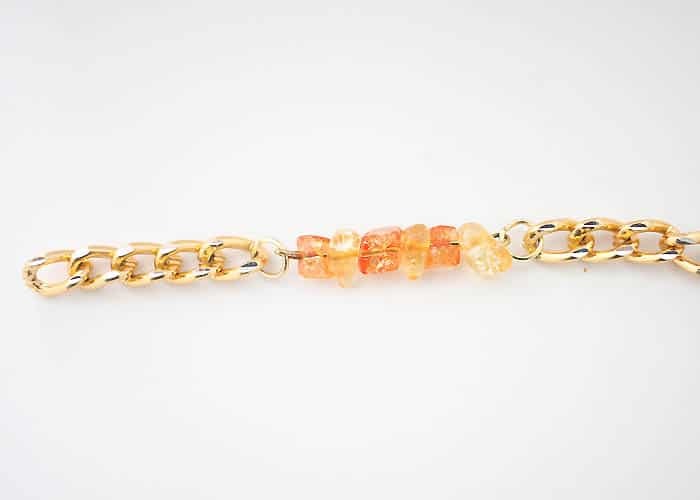 When the temperatures rise I love wearing gold jewelry. 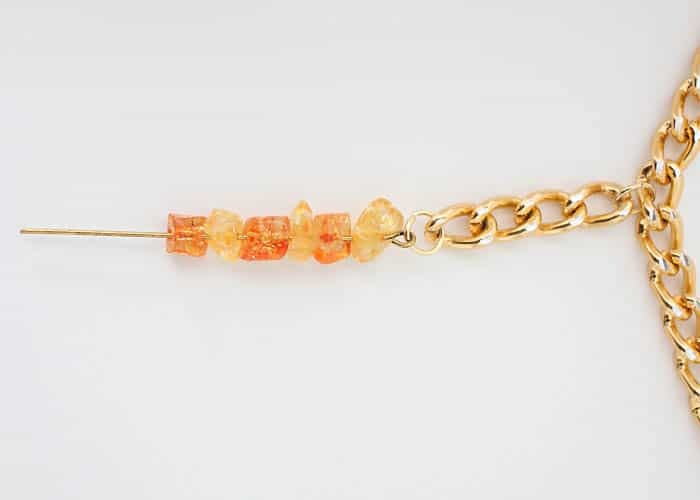 This Stone and Chain Handpiece DIY will work great with floaty summer dresses. I added the stone insert in the middle to make it look more earthy. 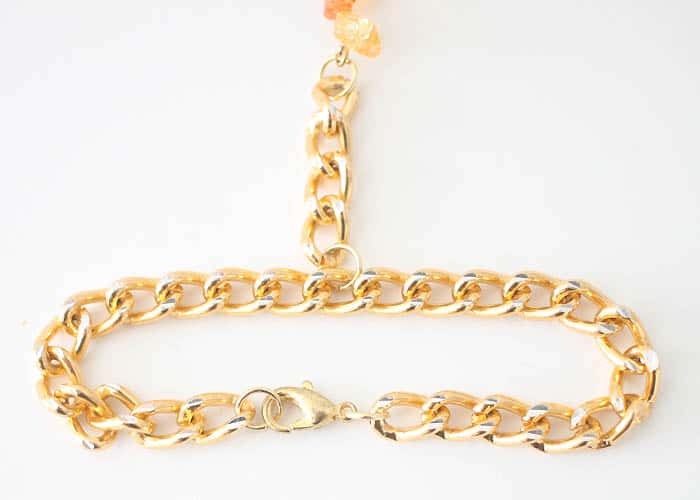 This chain handpiece is simple and fast to make. 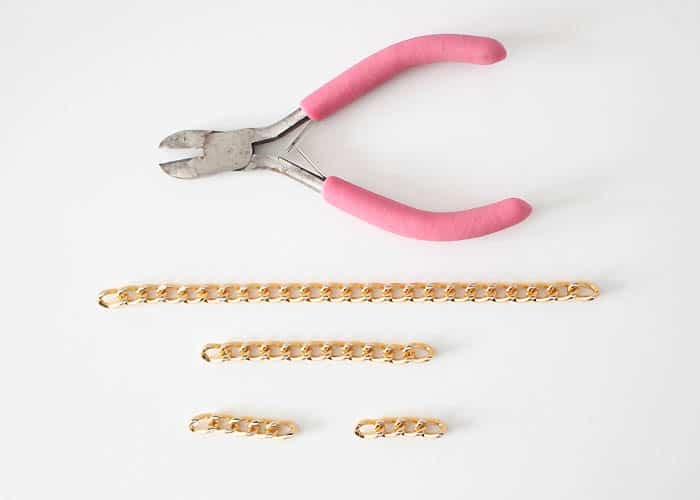 All you need are some basic jewelry making supplies. I listed the cain measurements I used but be sure to double check with your own measurements and make any adjustments, if needed. Happy crafting guys! 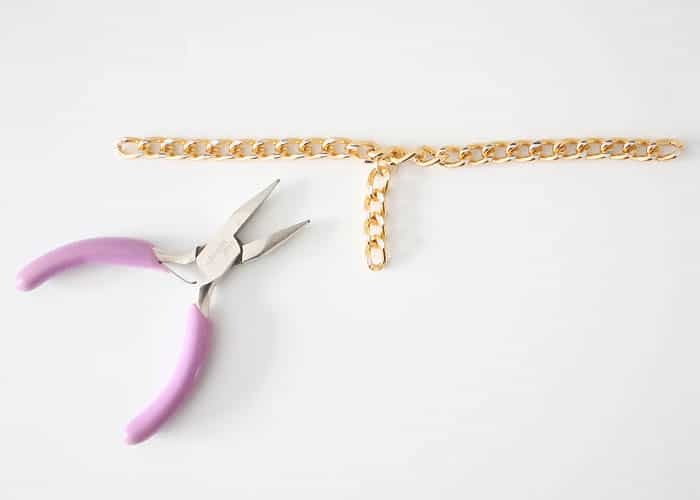 Want more DIY Jewelry Projects? 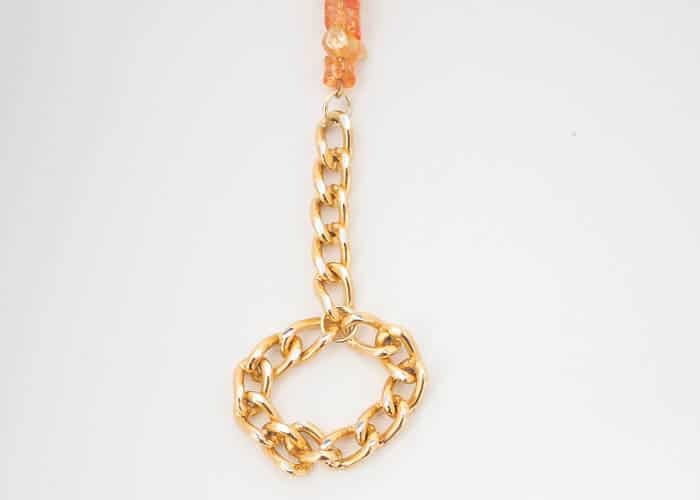 Using the jewelry pliers, open the jump ring and attach the connector to the middle of the bracelet. Twist the end of the eye pin into a loop. Add the second connector using a jump ring. Use another jump ring to attach the ring to itself and to the connector.